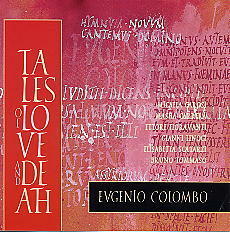 Eugenio Colombo's unique Septet sets four instrumentalists against three operatic soprano voices. His music, which is inspired by two Mediterranean myths - Judith of the Bible, and the coming home of Ulysses - blends echoes of the Italian vocal music tradition with tempos and cadences of the East Mediterranean area, from the Balkans through the Middle East; and includes free improvisation to great dramatic effect. Another triumph of the Italian new music scene. The total time is 67'47 (Notes by Francesco Martinelli).